On Sunday, August 24, from 1:00 pm to 5 :00 pm, the Muhammad Ali Center will be open for free to all families with PreK and elementary-school kids for a “Discover Your Superpower” Celebration. Run by the Global Game ChangersTM initiative, the celebration will teach kids how to combine their talents with their hearts to become real-life superheroes. Children will go from station to station, create their very own Superpower Equations, make a Superhero Pledge, and finish the day with their own superhero photo. They’ll also have access to the entire Muhammad Ali Center. It’s an afternoon of fun for the whole family, and it’s free! Kids and their families can arrive at any time. They’ll be able to start with a short introductory movie about Discovering Your Superpower at the Muhammad Ali Theatre. Next, they’ll find 15 game stations featuring the Global Game Changers Heart Badges, which teach kids about causes they can choose to champion. The badges include causes supporting Arts, Animals, Education, Elderly, Environment, Health, Veterans, and Rescue; and fighting Bullying, Hunger, and Poverty. Among the stations are a Find Your Talent station, a Discover Your Superpower celebration station, and a music video creation station. 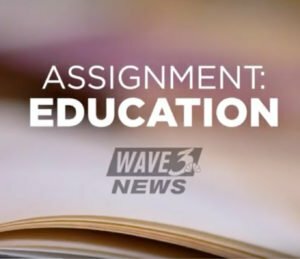 Each of the 15 stations is operated by a community partner like the Kentucky Humane Society (animals station), Stage One Family Theatre (arts station), and the Middletown Fire Department (rescue station). Other wonderful community partners that are making the celebration possible include YMCA Youth Association, SeniorCare Experts, Louisville Grows, Compassionate Louisville, Publishers Printing, and of course The Muhammad Ali Center, which in addition to hosting the event will be sponsoring the health station. The Global Game Changers is a nonprofit that provides in-school and afterschool programming for PreK and Elementary students based around compassion, giving, and finding each child’s unique superpower to make the world a better place. 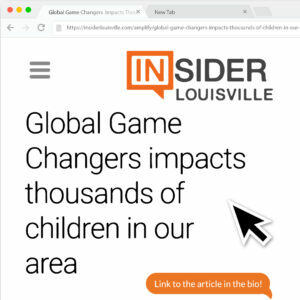 For more information go to http://www.globalgamechangers.org or contact Ben Ruiz at 502-244-6774/ ben@adhawks.com or Jan Helson at jhelson@globalgamechangers.org.